Yesterday, I got a package from a college buddy of mine, Peter Celaro. Pete is great. We became fast friends freshman year since he is into music and just awesome in general. I opened the box thinking that maybe he came across a funny picture from back in the day or maybe one of his favorite albums of all time would be in the mystery package. 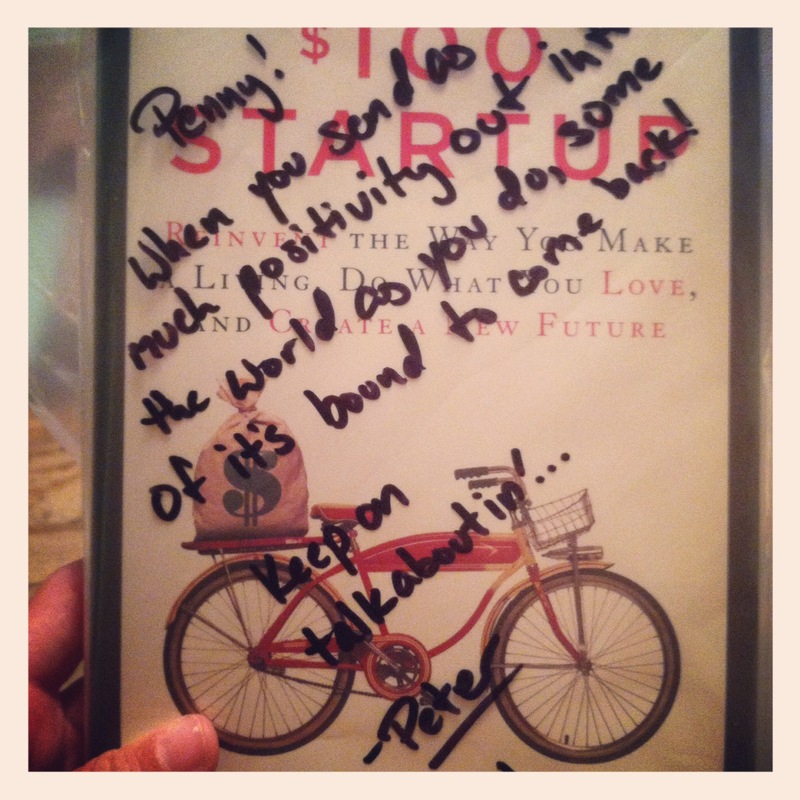 Peter saw via facebook and read my blog post about how the infamous Bubba (my sister’s dog) ate my signed copy of The $100 Startup. Peter must have gone to Chris Guillebeau’s book tour in Chicago to get this copy signed. How awesome is that? My friends are the best. I am flattered that Pete even thought about getting me a signed copy much less actually waiting in line to do it. Sealed inside the zip loc baggie along with a book was a printout of my blog post about Bubba’s heinous crime. 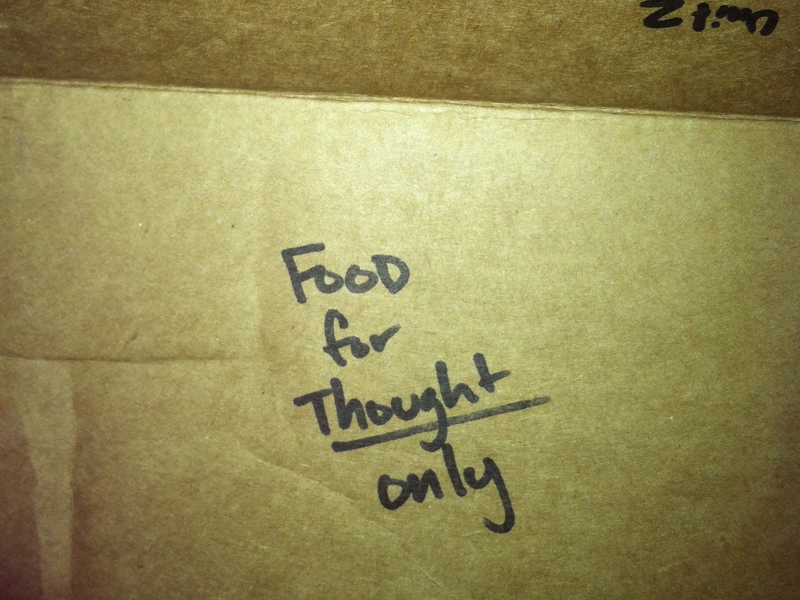 How thoughtful is that? I have the best friends EVER! Did I mention that Pete is hilarious? 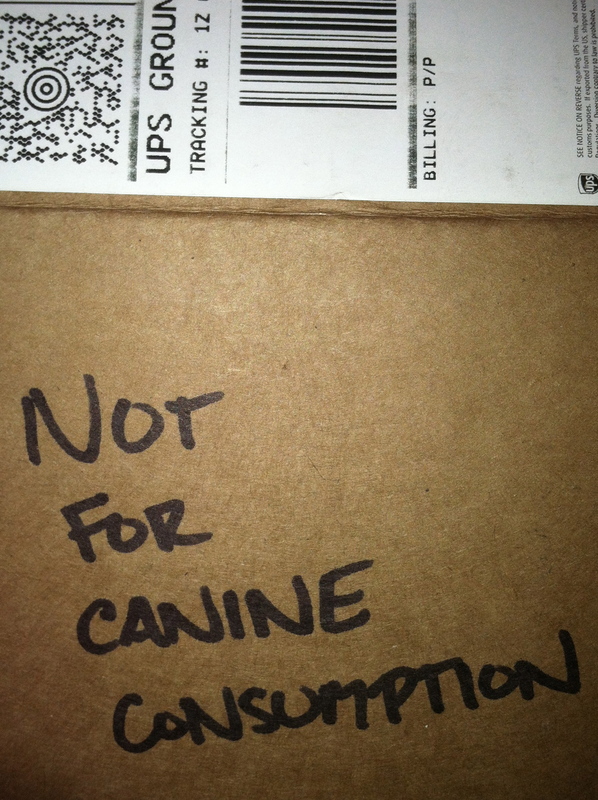 If I took the time to read the box before I opened it, I would have probably been able to guess its contents. 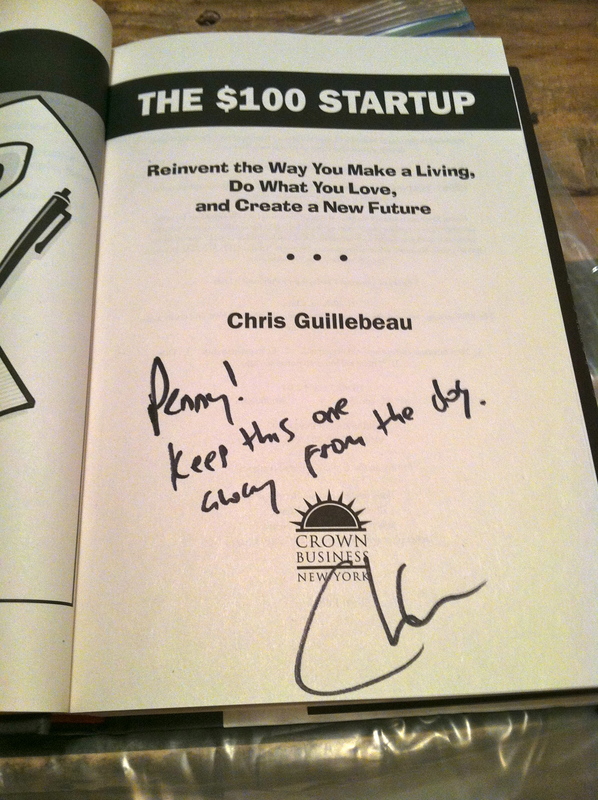 I have a new signed copy of $100 Startup, awesome friends and a good story to tell. Life is good!